Hukou is a household registration system in China. A hukou includes the holder’s basic personal information: name, gender, birth date, and permanent residence address. What makes the hukou system different from identification in other countries is that it determines an individual’s access to socioeconomic benefits and opportunities in China. The hukou, for instance, can impact a person’s education, housing, license plates, medical treatment, and monthly salary. Under certain circumstances, an individual can transfer their hukou from one jurisdiction to another. In highly populated metropolitan cities like Shenzhen, Shanghai, Guangzhou, and Beijing, the hukou is considered so significant, it may even have monetary value. This makes understanding the hukou application policies of different cities important. In this article, we explain the hukou system in Shenzhen, including the determination of benefits and the application process. According to the 2017 Shenzhen Statistical Yearbook, there were 11.9 million people permanently living in the city at the start of 2017. Among these people, 3.8 million were permanent registered residents (having a Shenzhen hukou), and over eight million people were permanent non-registered residents. Because Shenzhen is considered a first-tier city with high-quality government services, infrastructure, and a dynamic economy, Shenzhen hukou are highly coveted. That means that the standards to acquire a Shenzhen hukou are relatively high. Nevertheless, in an effort to attract more skilled workers and top innovative talents, the Shenzhen municipal government has introduced a series of benefits attached to its city’s hukou. RMB 30,000 (US$4,323) for those with a doctorate degree. Both recent graduates and mid- to senior-level professionals can benefit from Shenzhen’s talent incentives. However, while there are no age limits for recent graduates and returned overseas graduates, there are age limitations for mid-career professionals who move to Shenzhen for new employment. Additionally, several districts within Shenzhen offer separate subsidies for qualified talents that can be acquired in addition to the above-mentioned municipal-level subsidies. Luohu, Guangming, Yantian, Pingshan, and Dapeng – No district subsidies offered. Can apply for a Hong Kong pass and Taiwan pass easily; can go to Hong Kong multiple times each year and stay up to one week each time. Children can go to a public school, can lower their tuition fee, and have an increased chance to attend university. Can compete for the limited Shenzhen registered residence-only job positions, or work in Hong Kong while living in Shenzhen. Higher pension fund and higher reimbursement for social insurance. Can apply for low-income housing, low-rent housing, or government-subsidized housing in Shenzhen. Who is eligible for a Shenzhen hukou? 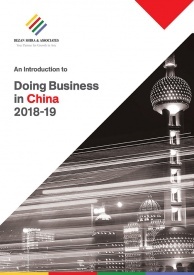 Of the various methods, the employed talents application, the point-based application, and the overseas returnees application are among the most popular. Here, we outline the requirements for these hukou application methods. In good health and has never participated in national banned organizations or activities; has no criminal record. Has paid social insurance, according to Shenzhen municipal law. (If the applicant is a high-level talent and meets requirement 1, the applicant can be excluded from this rule). High-level talent certified by the Shenzhen municipality, and eligible under the relevant age limit. Possesses a tertiary education, such as bachelor’s degree or higher, and is less than 45 years old; or has a junior college degree or above (eg. a vocational or technical degree), and is less than 35 years old. Has an advanced professional certificate and is less than 50 years old or has an intermediate professional certificate and is less than 45 years old. Applicants described in this condition must also have an education background of junior college or above. Certificates must be granted from outside of Shenzhen. Has a high-level technical certificate and aged 45 years old or under; has a technical certificate and aged 40 years old or under; or has a high-level skills certificate, has paid Shenzhen social insurance for at least three years, and is aged 35 years old or under. Has won a worldwide skills contest or a nationwide Type I or Type II professional skills competition; has won other recognized awards; or has been awarded by Shenzhen municipality. Applicants described in this condition must be 45 years old or under. According to the Shenzhen Intro to Talents points chart, can reach 100 points and is aged 45 years old or under. Males under age of 55, females under age of 50. Holding a valid Shenzhen Special Economic Zone Residence Permit. Owning a legal Shenzhen house or renting a house, while paying Social Endowment Insurance on time for more than five years. Has never participated in national banned events or joined in any banned organizations. In addition to the above requirements, applicants using this method must score enough points to compete with other applicants. The “Peacock Plan” is an act of the Shenzhen municipal government to attract overseas talents in order to support overseas talent-related services and enhance independent innovation capabilities. For talents with a Chinese nationality and willing to register for a Shenzhen hukou, they can apply for themselves and transfer their spouse and children’s hukou together. For talents who are willing to give up other nationalities and acquire/reacquire Chinese nationality, they can apply for Chinese nationality and register for a Shenzhen hukou for themselves and their spouse and children. The talents can be categorized as A, B, or C type talents, and each type can apply for different amounts of subsidies. Category A: Category A includes leading scientists in a particularly field, people owning intellectual property rights, or those whose inventions or research have great market potential. Leading researchers and scientists at key laboratories of institutions and enterprises at home and abroad, who meet the criteria for Category A talents, will be eligible for a subsidy of RMB 3 million (US$432,376) if they work full time in Shenzhen and have paid social insurance for at least three months. Category B: Category B refers to experts and scholars who are well-known in their fields and have chaired big international research projects. Accredited Category B talents and leading professionals can apply for subsidies of RMB 2 million (US$288,250). Category C: Category C covers professionals whose skills are badly needed in a certain industry. The reserved talents and Category C talents can apply for subsidies of RMB 1.6 million US$230,600). According to Shenzhen’s Human Resources and Social Security Bureau, the subsidies will be distributed annually in even portions over five years. Applying for Zhunqian (internal migration permission). To be noted, different application methods will require different materials to be submitted. This will impact the specific steps needed to complete the application process. Shenzhen hukou applicants should therefore have a clear understanding of their qualifications and the application method best suited for their background before beginning the process. 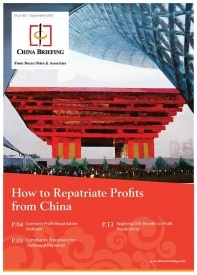 About Us China Briefing is produced by Dezan Shira & Associates. 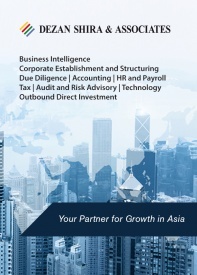 The firm assists foreign investors throughout Asia and maintains offices in China, Hong Kong, Indonesia, Singapore, Russia, and Vietnam. Please contact info@dezshira.com or visit our website at www.dezshira.com.